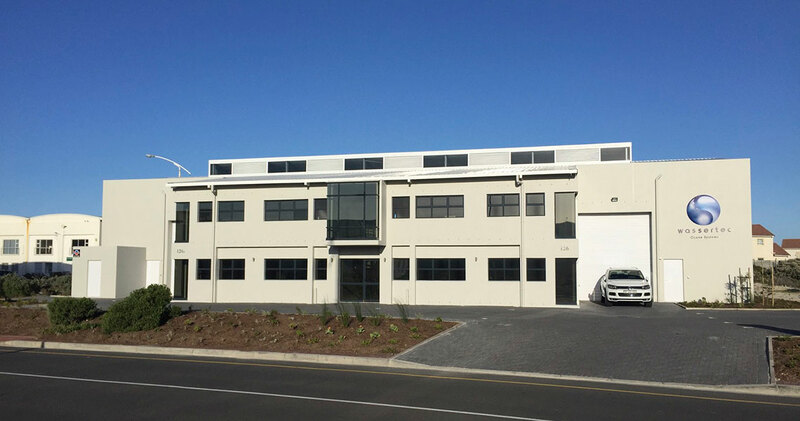 The Wassertec Factory in Capricorn Park, Cape Town. Founded in Cape Town, January 2002, Wassertec has become the leader in ozone and ozone generation in Southern Africa. From day one, our vision has been to design and manufacture the highest quality ozone generation systems primarily for the wine and bottled water industries. We believe that by taking care of the quality, the rest will take care of itself. By collaborating with highly competent electrical engineers and industrial software developers, we have, over the years, created what we believe to be the best ozone systems currently available in their class. From small beginnings we have grown the company and product line to become the leading manufacturer of ozone equipment in South Africa. Our specialised Bright Blue systems set the standard for ozone in the bottling industry. With installations in nine African countries and clients such as Coca Cola, SAB and Distell, Wassertec are perfectly positioned to become your partners in ozone. We not only design and manufacture our Ozone generation systems to the highest quality and safety standards, but we also stock all components at our Cape Town offices – ensuring rapid replacement of spares and minimal downtime. If you are looking for high quality Ozone Generators, with backup and service to match, you’re in the right place. Welcome to Wassertec. View us on You Tube! Looking for an Ozone Generator or Ozone system that suits your requirements? Our support team is happy to be of assistance. Contact us on the numbers below or fill in the form and send us a message with your query. Wassertec - Engineered Ozone Solutions for water and air treatment - Ozone Generators. Specialists in Ozone Technology. We stock all components at our Cape Town offices – ensuring rapid replacement of spares and minimal downtime.